Continuing the saga that has unfolded at City Hall — in which City Council members have said a deal with one company “smelled,” and in which another company, EcoHub, claims Mayor Sylvester Turner snubbed him out of the whole process — EcoHub is now suing the city to find out what happened. 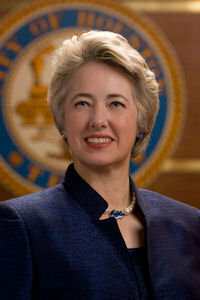 EcoHub had worked for years with former mayor Annise Parker’s administration to set up the One Bin for All Recycling paradigm, and CEO George Gitschel had said he secured millions of dollars in bond funding to build an $800 million facility that would recycle up to 95 percent of all our waste and repurpose it as fuel or other traditional recycling products. But when Turner took over, the deal with Gitschel fell apart — for largely unknown reasons. Turner has refused to provide an explanation beyond the fact that he is “not obligated” to continue with Parker’s vision. The city instead opened up a bidding process for more traditional single-stream recyclers in 2016. The lawsuit, filed this week, is seeking clarity about how Turner made this decision. Gitschel had hired former KTRK reporter Wayne Dolcefino’s consulting firm to investigate, but in the lawsuit, Gitschel’s attorney says the city has not turned over documents, emails and phone calls that Dolcefino requested under the Texas Public Information Act. The lawsuit asks the court to compel the city to release the documents, and make sure officials are not hiding anything. Gitschel speculates that “improper influence by those who stand to financially benefit the most from the status quo” may have played in a role in why Turner cancelled the One Bin proposal and opened it up instead to traditional single-stream recyclers. I guess this is about the recycling contract that’s being rebid, which is whatever. What I’m wondering is how it is that EcoHub thought it had a deal with the city in the first place. As of the end of the Parker administration, there was nothing more than a progress report to show for the project. There was never a contract for City Council to approve. 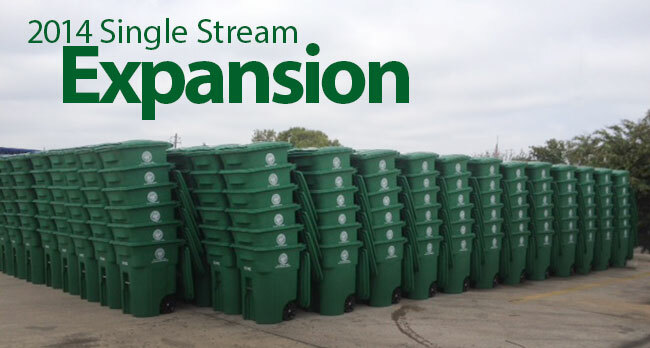 One Bin never came up when the current scaled back deal with Waste Managemend was ratified. One Bin For All was an idea, one that some people thought was great and others thought was ridiculous, it was never anything more than that. Maybe there’s more information to be uncovered in the deal that Mayor Turner tried to get approved. If there is, great, let’s hear it. But even if there is, I’m not sure what EcoHub will do with it. Considered only in terms of the city’s short-term budget and Waste Management’s profits, perhaps the decision to stop recycling glass makes sense. But it wasn’t popular at the symposium, which was hosted by UH’s Center for Sustainability and Resilience and the Houston Advanced Research Center. There, speakers suggested that decision ignores bigger long-term issues — economic development, the environment and emerging technologies — that Houston and other cities should consider. When waste management practices are at their best, recycling isn’t just an add-on to garbage collection. It can be key to meeting economic and environmental goals. So when our collection service says that recycling glass costs too much, we need to view that cost in the larger context. Consider this: In the Houston-Galveston region, recycling has created approximately 12,000 direct, indirect and induced jobs. That amounts to $1.5 billion in employee income. And there’s certainly room to create even more of those jobs. Lee Reisinger, former director of engineering at Proctor & Gamble and founder of the consulting firm ReiTech, suggested Houston could create its own locally developed tissue paper by blending recycled products, such as newsprint, with virgin wood pulp. So why aren’t we creating those jobs? It’s because the current recycling system diverts the easiest and most profitable materials into a weakened commodities market — without considering the bigger picture. A better option has already been proposed. In 2013, with support of a $1 million grant from the Bloomberg Philanthropies Mayors Challenge, the city proposed the One Bin for All system. Everything, even contaminated paper, could be put in a single bin that’s wheeled to the curb for pickup. New and emerging technologies would make it possible sort all the materials for reuse. The city would leave the sorting and sales to its recycling partner, whose profits would offset the cost of new technology. Under financial and technical concerns, support for the proposal faltered last year. But it shouldn’t have. Not to put too fine a point on it, but One Bin For All is, politically speaking, pining for the fjords these days. It’s not that “support faltered” for it, it’s that Mayor Turner declared he had no interest in it at this time, and possibly ever. Making a case for One Bin starts with making a case to Mayor Turner to rethink that position. Given the challenging economic environment for recycling as well as the still-unproven nature of the One Bin concept, that’s a tough case to make. It’s even harder if you don’t start by addressing the political reality of the situation. Gentlemen, start your oratorical engines for these upcoming Mayoral candidate forums. The events, which will focus on arts and culture, economic development, and labor and community concerns, kick off a months-long cycle in which the candidates will appear before various interest groups, speaking to their specific concerns. Wednesday’s arts forum at the Asia Society comes two days after the conclusion of this year’s legislative session in Austin and is expected to be the first time the candidates appear together since former Harris County Sheriff Adrian Garcia entered the race. The forum hosted by Houston Arts Alliance, Houston Museum District, Theater District Houston and Miller Outdoor Theatre begins at 6:30 p.m. and will be moderated by KTRK reporter Miya Shay. Thursday’s forum hosted by SPARC Growth Houston, a coalition of economic development groups, will focus on the city budget and economic development. It begins at 6 p.m. at the University of Houston. Then, on Saturday, the candidates are set to appear before area labor and community organizations for a 9 a.m. forum at Talento Bilingue. I realize that these particular forums are tightly focused, subject-wise. Nonetheless, as a public service, I offer to the moderators of these forums and any and all future forums, the following questions that I think these candidates should be asked. 1. What is your opinion of the plan TxDOT has put forward to remake I-45 from Beltway 8 into downtown? Have you taken the opportunity to submit feedback to them via their website? The deadline for such feedback is today/was May 31. 2. During the legislative session there was a bill by Rep. Chris Paddie that would have provided a regulatory framework for “rideshare” services like Uber and Lyft to operate anywhere in Texas. In the bill’s initial form, these regulations would have superseded local rideshare ordinances, though after pushback from cities Rep. Paddie agreed to make some changes. What was your opinion of Rep. Paddie’s rideshare bill? Should the state of Texas be the one to regulate these services? Did you contact Rep. Paddie and/or your own Representative to express your opinion on this bill? 3. Texas Central Railway is currently going through the federal environmental review process to get clearance to build a privately-funded high-speed rail line between Houston and Dallas. One of the things they are trying to decide is where to put the Houston terminal for this line. Their original plan was for it to be downtown, but they have encountered strong resistance from the neighborhoods that it might have to pass through (there are two possible routes), who object to elevated trains so close to their homes. An alternative now being discussed is for the station to be located at the Northwest Transit Center, though downtown and some other possibilities are still on the table. Where do you believe the Houston terminal for this high speed rail line, for which construction may begin as soon as 2017, should be? Have you gone to any of TCR’s public meetings, or provided feedback to them in any form? 4. As you know, the city received several proposals in response to its RFP for a “one bin for all” solution for solid waste management. These proposals, which are still being evaluated by the city, would require new technology and a substantial investment by a private company. The city has said that if the idea turns out to be infeasible, it will not pursue it. Mayor Parker has said that one way or another, this will be a task for the next Mayor to finish. What is your opinion of the “one bin for all” idea? Would your preference be for the city to pursue it or drop it? I really really look forward to hearing some answers to these questions, whether next week or sometime soon thereafter. The Chronicle is ambivalent about the city’s One Bin for All proposal. Details of the One Bin For All recycling proposal aren’t even solid yet, but groups like the Sierra Club have already started to line up against it. This gut rejection seems misguided, but people should have a healthy skepticism of this relatively untested new plan. The premise of One Bin is that, instead of people sorting recycling at home, recyclable material can be sorted out of garbage en masse at centralized locations through a mix of manpower and mechanized processes. It isn’t as effective as sorting by hand, but it gets more recyclables in the end because it handles the entirety of the city’s garbage rather than whatever people decide to sort at home. In a meeting with the Chronicle Editorial Board, the city’s Sustainability Director, Laura Spanjian, said the entire plan is supposed to be cost neutral, keeping the city’s trash budget essentially the same. A private contractor will design, build and operate the One Bin plant, in exchange for a contract on the city’s garbage. One man’s trash is another’s treasure, and Houston won’t be stuck with the bill – unlike when a bond-funded trash incinerator project drove the city of Harrisburg, Pa., into bankruptcy. Still, dumping garbage is cheap in Texas, and it seems inevitable that the price the city pays on each ton will increase, despite claims otherwise. The real cost offset comes from One Bin’s one bin, meaning that the city only needs one truck instead of two for garbage and recycling. Slimming down unnecessary city operations is healthy for the long-term budget. Conservative skepticism still leads to an arched eyebrow. Houston government shouldn’t be the testing ground for new technology, and a few more years of experience in other cities could help refine the process. The Montgomery plant does not accept items such as kitty litter and dirty diapers, which are supposed to be tossed in a separate container. 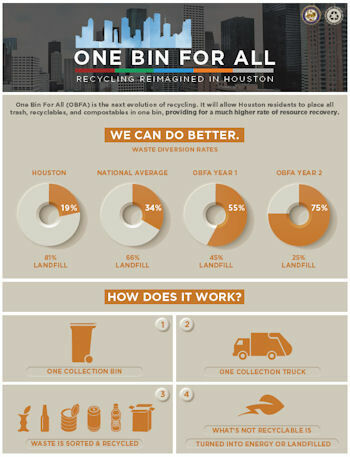 Their experience should lead Houstonians to worry whether we’ll just end up with a One Bin for (Almost) All. As we know, the city received five proposals in July. We don’t know a whole lot about them just yet, but I expect we’ll hear more soon. The Chron lists three concerns about One Bin – cost, effectiveness, and the “out of sight, out of mind” problem – but they didn’t mention the two biggest ones that opponents have harped on. One is the possibility/likelihood that some amount of waste will be incinerated, and the other is that the so-called “dirty MRFs” will have less value as recyclable material than they would as separated materials. The city strongly disputes these arguments, and I’m not sure why the Chron didn’t at least mention any of that. I’ve said before that I don’t consider myself sufficiently knowledgeable to arbitrate that. I’m still waiting on a response from Laura Spanjian to what Zero Waste Houston has been saying, some of which was in that post of mine linked to above. I would love for this to work and I hope that the latest generation of technology can make it work, but it remains to be seen what has been proposed. 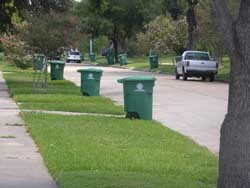 Texas Campaign for the Environment vowed today to mobilize Houstonians against Mayor Annise Parker’s so-called “One Bin for All” proposal, saying that the scheme will take recycling away from the minority of residents who already have it, delay expanding it to new neighborhoods and lay the groundwork for future environmental damage. The city is proposing that Houstonians put all their waste into one bin where it will be separated mechanically at a new $100 million facility to be located at a landfill. The city claims that technology exists for separating out recyclables from other garbage which could improve the Houston’s recycling rate to 75%. Environmental and industry groups say the facility will not work and will only delay expanding curbside recycling to all Houston residents. Texas Campaign for the Environment is preparing to release later this week two open letters to the mayor expressing skepticism over the scheme, one from recycling industry leaders and another from national recycling advocates, including Annie Leonard of “Story of Stuff” fame. According to the letters, many valuable recyclables, like paper, cardboard and some plastics, become contaminated during comingling, preventing them from having any value in the marketplace. Additionally, advocates say that another key problem with Houston’s proposal is that it encourages residents to put their electronic waste, like computers and televisions, in the same bin as other discards. Houston is behind other major cities when it comes to recycling, with a majority of residents having no recycling available at their home. 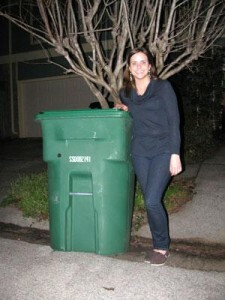 The city’s application for the Bloomberg Grant admitted that “the mayor is constantly besieged by citizens to bring recycling to their neighborhoods.” The One Bin proposal would remove curbside recycling from neighborhoods where it already exists, and would foreclose any plans to expand it into any of the neighborhoods now seeking it. Texas Campaign for the Environment had previously outlined its objections to the single bin plan here. At this point, the discussion is beyond my level of expertise. I will do my best to learn more and come to a judgment about it. Vote below for your favorite idea among the 20 Mayors Challenge finalists! Voting is open from February 20 through March 6. The Bloomberg Philanthropies’ Mayors Challenge is a competition designed to inspire America’s mayors to generate innovative ideas that solve major challenges and improve city life. The Huffington Post and Bloomberg Philanthropies have partnered to give readers an opportunity to select their favorite idea among the 20 finalists. Click the grid here to learn more about the 20 finalists or scroll down to watch videos from each city. This first-of-its-kind innovation uses technology in a way that has never been done before. Allowing technology and new process systems to sort household “trash” and derive an initial 55 percent diversion rate, and upwards of 75 percent with composting, anaerobic digestion and catalytic conversion (biomass-to-fuel) is more efficient and effective. The technologies (shredders, sensors, density separators and optical scanners) have been used previously in the waste, mining, or refining industries, but will be combined in a new process which will yield a much higher diversion rate. This system has the potential for cities across the globe to reduce greenhouse gas emissions and make a significant contribution to improved air quality, provide an easy-to-use program for residents, save money and increase revenues. There’s a video over there as well, so click to see it and then click here to vote. You have until March 6 to cast your vote. Hair Balls has more.